The bfe driver provides support for Broadcom BCM4401 based Fast Ethernet adapters. autoselect Enable autoselection of the media type and options. 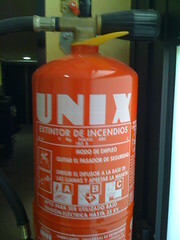 For further information on configuring this device, see ifconfig(8). bfe%d: couldn't map memory A fatal initialization error has occurred. bfe%d: couldn't map interrupt A fatal initialization error has occurred. bfe%d: failed to allocate DMA resources There are not enough mbufs available for allocation. bfe%d: watchdog timeout -- resetting The device has stopped responding to the network, or there is a problem with the network connection (cable). The bfe device driver first appeared in FreeBSD 5.1 . The bfe device driver was written by Stuart Walsh and Duncan Barclay. This manual page was written by Stuart Walsh.